My husband is obsessed with those tennies. 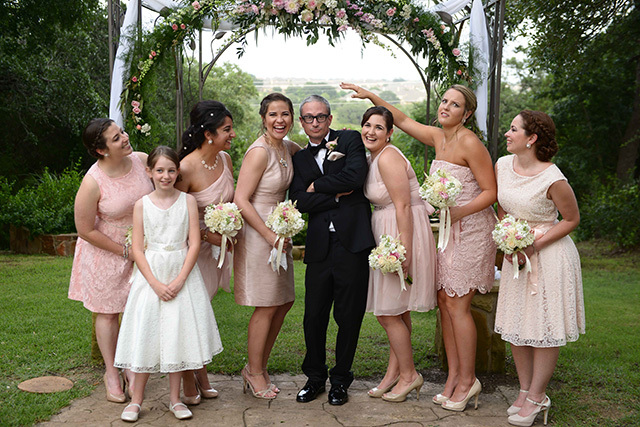 He tried to play a joke on me by telling me that he didn’t have his wedding shoes and would have to wear his tennis shoes! This would make a perfect album cover if they ever start a band, am I right? 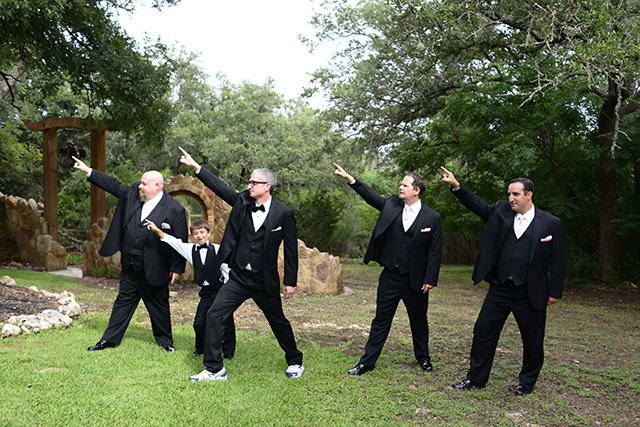 So, a black cat ran across our wedding during the ceremony. I’ll take it as a sign of good luck because I think it’s pretty fitting that a cat would attend my wedding! I find it hilarious that only a few of them got the memo to do something silly in the background! Just look at Lindsey’s face. I can’t even. My husband totally photo bombed our picture! RUDE! When your cousin tries to kiss you…YUCK! 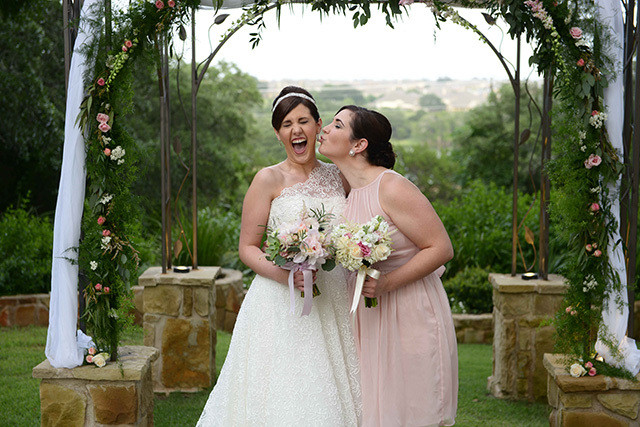 My husband had a lot of fun being really aggressive during the kissing pictures…so much so that I was constantly falling over or pushing him away so I could laugh! When your girl gets stuck in the heart-shaped “O” and her boyfriend has to pull her out…I still laugh when I think about that moment! Just look at George’s face! This picture makes me laugh the hardest out of all of them. Having to feed each other cake was SO awkward…can you tell?! Like who even decided that would be a good wedding tradition? How do people do this gracefully? My girl Ainsley was NOT having a good time at our wedding. I can’t wait to embarrass her with these photos when she’s older! I know I’ve always been a total ham but it wasn’t until now that I realized I got it from my daddy! 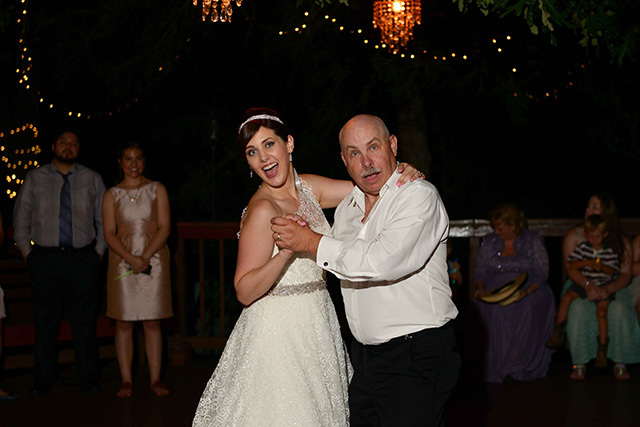 My dad was not having it with that whole “find the garter” thing. 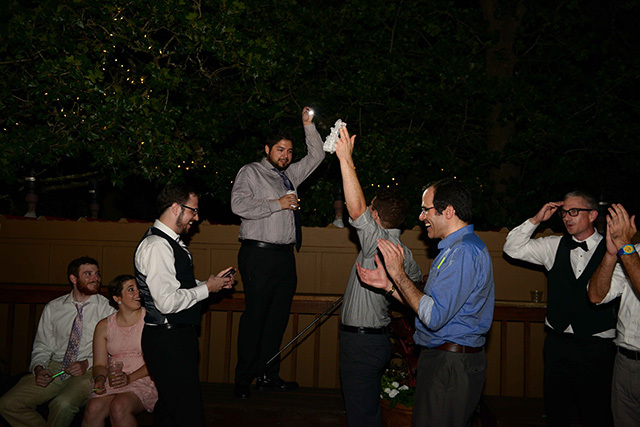 George threw the garter entirely too far (because of course), it fell it in a crack, and the guys had to fish it out with a selfie stick and a flashlight. That might have won best moment of the night. Our kid and nephew look like the coolest boys from the high school dance. This photo makes me fear for Neal’s teenage years…I’m sensing that he might become a heartbreaker! 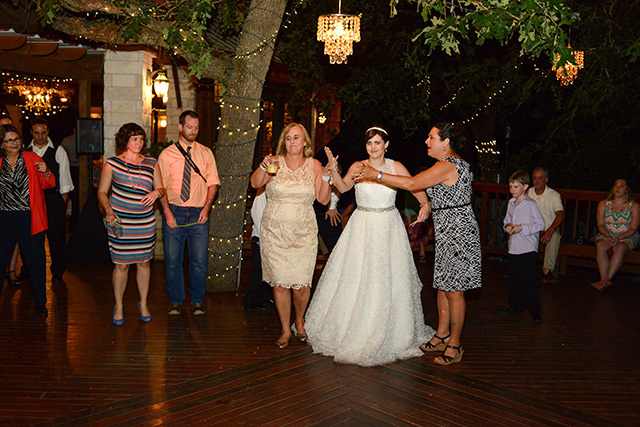 My mom took my wine away so that I would dance more. NO MA’AM. 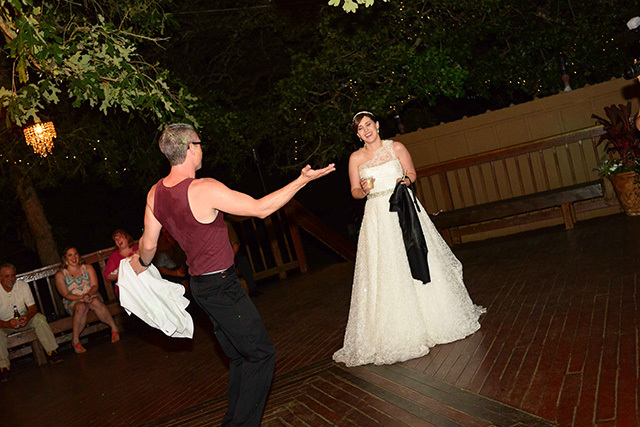 Ok so is this the BEST photo you’ve ever seen of a couple doing that whole “reeling in a fish” dance move, or what? Travis got some air on that jump! My husband doing a strip tease again! It’s his signature dance move. I hope you all enjoyed WEDDING WEEK! I’d love to know which day was your favorite! So hilarious. I never ever ran into a fan, light or anything higher than 5′, lol. At least you got the long legs, be proud! Ham Randy is his name, biggest ham ever and yes, you get that from him, lol. Does George need to confess to his prior life as a stripper? Lol, he cracks me up! And, yes, be very worried about your son as he grows older and get the bat ready for all the girls that will be lining up at your door for him #cutestlittledude.